Throughout the course of Byzantine history, Christian doctrine taught that angels have a powerful place in cosmology. It also taught that angels were immaterial, bodiless, invisible beings. But if that were the case, how could they be visualized and depicted in icons and other works of art? 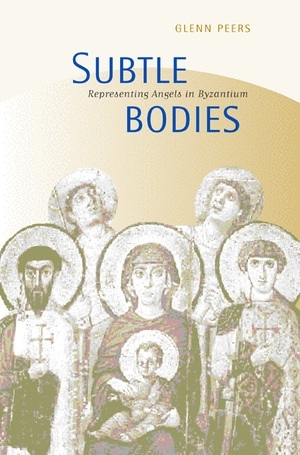 This book describes the strategies used by Byzantine artists to represent the incorporeal forms of angels and the rationalizations in defense of their representations mustered by theologians in the face of iconoclastic opposition. Glenn Peers demonstrates that these problems of representation provide a unique window on Late Antique thought in general. Glenn Peers is Assistant Professor of Art and Art History at the University of Texas, Austin. He collaborated with Massimo Bernabo and Rita Tarasconi on Il Fisiologo di Smirne (1998), and he is completing a study on framing in Byzantine art.